Another son of the soil has left us, The Original De Fosto Himself (Winston Scarborough). 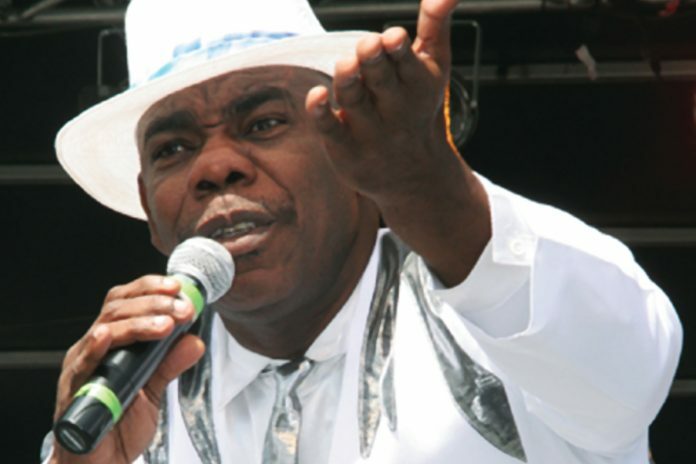 Only days before the veteran calypsonian had paid tribute at the funeral of another fallen hero, Winston Bailey, The Mighty Shadow. Scarborough, who was just 64, died on Friday 2 November after suffering a heart attack. He had been hospitalised several times in the past months while fighting heart disease. De Fosto will be remembered for tracks such as In A Palace State Of Mind, Four Lara Four, Ah Cyar Vote Fuh Dat, De Love Of My Life, Play Mr Pannist Play, Fyah Bun Dem, Sperm Running Wild and Firestorm to name a few. De Fosto’s funeral will take place on Thursday 8 November at the Cathedral of the Immaculate Conception at 10am, after which he will be buried at the St Mary’s Cemetery in Tacarigua.